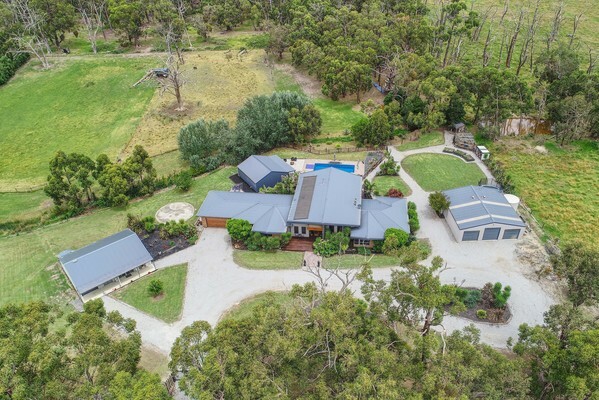 Driving through the auto remote, wrought iron gates and timber feature entry you are immediately aware that this is a very special property indeed. Welcome to Olliewood! Offering the very best of resort style living on a private and secluded five acres, incorporating all the intimate details of normal family life effortlessly, Olliewood caters to the needs and whims of not only family, but extended family, guests and even pets. Willed into existence with imagination and sheer hard work, this is a testament to the creativity and attention to the smallest detail by the owners. 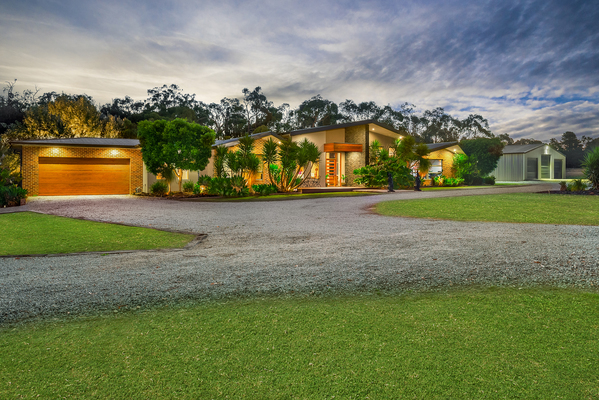 Enveloped by established gardens, broad sweeps of lawn, driveways, broad parking areas, and fringed with towering specimen trees, the residence is accessed by a secure, remote gated entry. It offers spacious open plan living areas with floor to ceiling glazed views over the outdoor living area to the pool suite with an amazing sense of volume you can feel indulgent or simply home as the mood takes you. 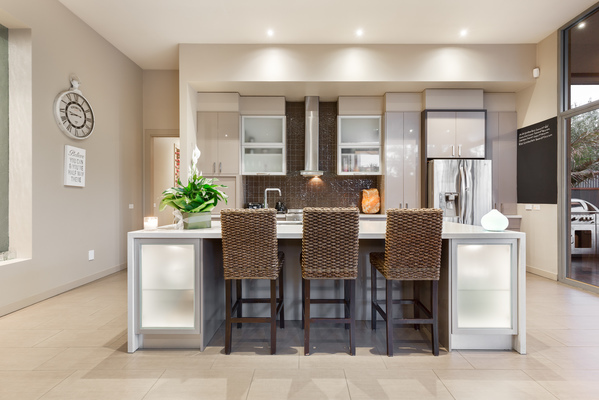 A spacious informal living zone, complete with solid fuel heater, incorporates a chef’s kitchen with state of the art stainless appliances, stone waterfall benchtops and separate butler’s pantry. Adjacent, is a more intimate sitting room with a decorative log heater is the perfect spot to have some well earned private time. There is also a separate rumpus room with an array of built-in cabinetry. Beautifully positioned, there are four double sized bedrooms, the main bedroom is of particulary impressive proportions with a full ensuite bathroom and walk-through wardrobe/ dressing area, plus a large study/home office. There is also a spacious family bathroom and an oversized laundry. 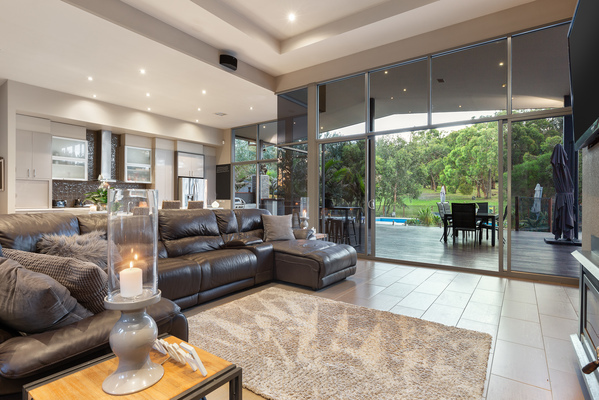 The residence offers the luxury of double glazing, (electric) ducted heating and refrigerated cooling, ducted vacuum, top quality fixtures and fittings and smart wiring throughout. Also, under roofline is an oversized two car garage, auto remote and with direct to house access. A fabulous covered and timber decked outdoor living with vaulted ceilings will cater to the largest functions, and is complete with a built-in wet bar and BBQ kitchen. 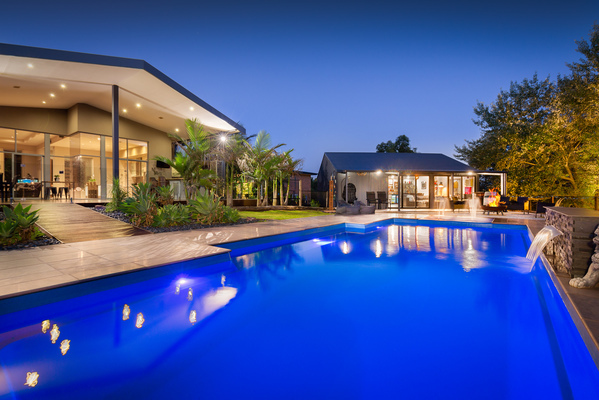 Beyond, is a fully landscaped pool suite with a solar heated/salt chlorinated inground pool with hard paved surrounds and contained within a decorative glazed pool fence overlooks the play equipment and views beyond. Within this area is a large pool house with built-in bar, relaxation and games areas, powder room/ change room and comes complete with an outdoor shower, covered verandah and even an outdoor fire pit. A separate Hamptons style studio, of an impressively sympathetic design to the overall ethos of the property provides beautifully vaulted ceiling accommodation, with a very spacious living/bedroom area, separate dressing room, kitchen, an amazing bathroom and even a single car garage with direct access. A separate American-style three bay Hi-Line 40’ x 30’ steel shed not only provides workshop/storage space but also parking for the horse float, fishing cruiser or show cars. There is also the surprise of a self-contained one-bedroom unit complete with kitchen, living area, bathroom and balustraded timber deck all under roofline! Over the bridge and into the rear bush garden there is a play park, flying fox and even a fire pit for camping out. A chook shed and scratch yard, secure dog run, veggie garden, and paddocks, one with a day shelter ideal for horses or other choice of livestock. 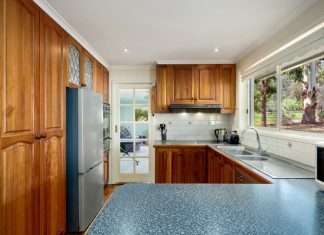 There is access to public and private school bus pick up at the gate, easy access to the M1 freeway, public transport nearby (V-Line and Metro trains), major shopping hubs, services and sport.